* This book offers a comprehensive review of the various scientific, technological, and economic aspects of food product preservations. * It examines the diverse problems which are associated with the stability of products such as meat, fish, vegetables, and fruit, and thoroughly covers the methods and processing steps necessary to maintain the quality of these foods. * Food Canning Technology is aimed at food technologists, food scientists, and students in food chemistry and technology. It offers a better understanding of the nature of biochemical changes, and aids in the improvement of product quality and shelf-life. 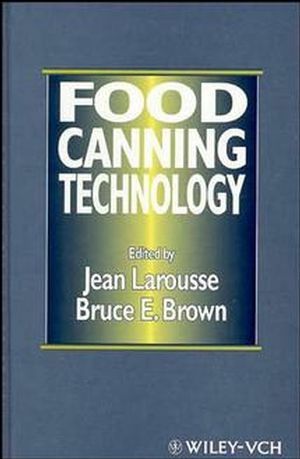 Jean Larousse and Bruce E. Brown are the authors of Food Canning Technology, published by Wiley.